Once upon a time, director Neil Jordan brought Anne Rice's Interview with a Vampire to movie screens and gave mainstream movie going audiences their first taste of a more modern vampire tale. 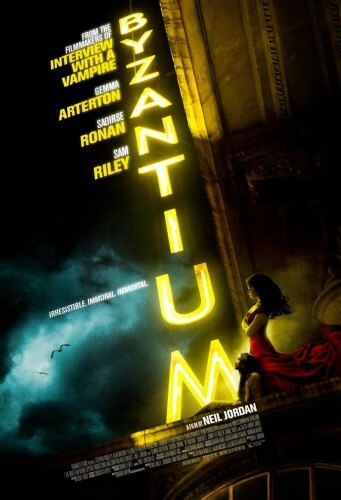 Almost twenty years later, Mr. Jordan steps back into the same genre to direct Byzantium which is based on a play originally written by Moira Buffini. 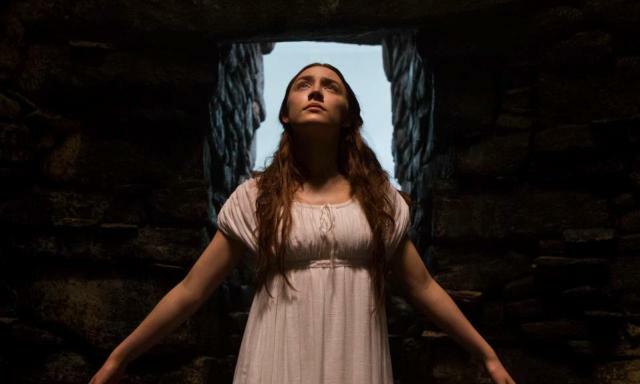 Gemma Arterton and Saoirse Ronan star as Clara and Eleanor, two vampires alone in the world and left to do whatever they can to survive. As they wander from place to place, barely settling in one town before an accident or a bloody incident that can't be concealed takes place and forces them to move onto the next place where no one knows who they are. Clara has mastered the art of using her physical gifts to obtain what they need while Eleanor takes a more subtle and subdued approach to living what she tries to make a normal life. 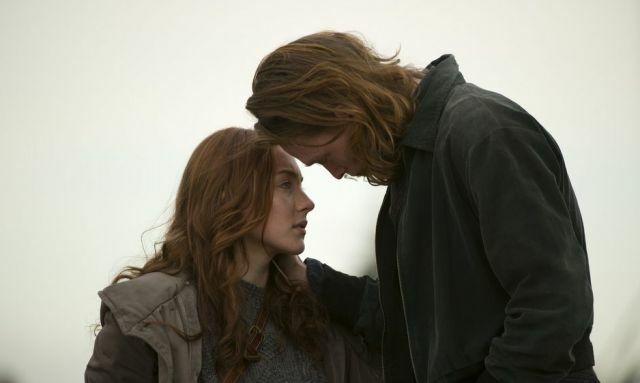 The two seem to always be at odds when it comes to how they live and, after yet another forced movie, Eleanor begins to think she might be better on her own. As these two immortal women descend upon a small village, they each make a discovery that ends up changing their fortunes in more ways than one. Clara quickly discovers an old run down hotel building being maintained by the son of the original proprietors and convinces him to allow her to turn it into a brothel. Meanwhile, Eleanor, in her aimless wanderings, happens to cross paths with a young man named Frank who is as intrigued by her as she is of him. As the two women discover success in their new endeavors, they are left unaware of how their past has been methodically hunting them down and is about to come knocking at their door. While their hope has always been to find peace and a quiet existence, they may end up once again having to fight for their eternally undead souls against the ones who were responsible for their creation in the first place. Much like 1994's Interview with a Vampire, Byzantium is a methodical yet haunting tale that you will find difficult to tear yourself away from. The key to this movie is of course the two main characters and how their uneasy relationship stays on the brink of falling apart. Arterton and Ronan are perfectly cast as Clara and Eleanor and each are given ample space to really show what they can do with the material while Jordan proves once again how he can bring so much life to characters that are living an undead existence. By no means is Byzantium a perfect movie as the story begins to unravel and become a little silly at the end, but it doesn't go too far off the deep end where it might lose the audience altogether. What does work really well is the perfectly balanced combination of blood soaked action, tragic love story, and brooding drama that are all hallmarks of the genre. Fans of the various vampire worlds that include everyone from Dracula and Blade to Lestat and Edward will enjoy this movie as it really does have a little something for everyone.